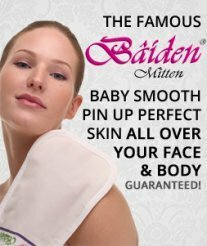 Q: I have now used the Baiden Mitten for the first time, and I really liked it, skin feels smooth. 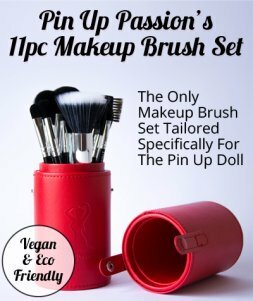 BUT I have stretch marks on my thighs, and just minutes after I used it, I started getting a red-dotted rash on the skin around my stretch marks. I doesn't itch or hurt, and I didn't get it anywhere else on my body. But do you think it is temporary? Should I not use it on that area the next time, or do I just have to be gentler? A: How are the spots going? Well it seems like it's doing the exact thing to you as what happened to my mum! She had extremely bad stretch marks on her tummy form my brother (when she was pregnant with him). When she scrubbed her tummy, her stretch marks went bright red for hours before easing off. After about 2-3 months off this, her body adapted, her stretch marks decreased. Her stretch marks were really bad so it's not often this happens, but for you, I would just take it slow. See if your body is reacting to it ok and if after a few hours the redness goes away. Just see how your body feels scrubbing those areas.